We’re a varied bunch; some of us are driven by the desire to mitigate dangerous climate change, others want to eradicate fuel poverty in London: The one thing we have common? We’re all trying to make a difference and improve our city! Meet some of our member groups below – remember it’s currently free to join CEL and we will keep you updated with sector news, events, training and other opportunities. Brent Pure Energy is a Community Benefit Society, registered and regulated by the Financial Conduct Association. 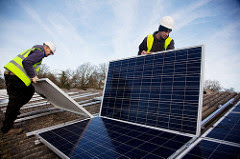 They offer local community organisations a chance to cut down on their carbon emissions and their energy costs, and local people a chance to invest in solar energy, giving both a reasonable return on investment and a chance to help the community. Their latest project, a 50 kWp solar array on Queens Park Community School, and is now up and producing sustainable electricity! This equates to 198 panels and is generating some 47,500 kWh of electricity per annum. More than 99% of this electricity is used by the school, resulting in a saving to the school of around £2500 a year! Brixton Energy was set up by Repowering London, who have successfully established four community energy projects on social housing, including Solar One on Elmore House (37.24kWp), Solar Two on Styles Gardens (45kWp), Solar Three on Roupell Park (52kWp) and Banister House Solar (102kWp) in collaboration with Hackney Energy. CREW is the first community energy group in London to complete an LED replacement project under a lighting services agreement. They offer a range of technological solutions to help community groups, businesses and home owners save energy and become more efficient. They are also launching a series of energy cafes throughout 2019 to help people reduce their energy bills, make their homes more efficient and lift out of fuel poverty. 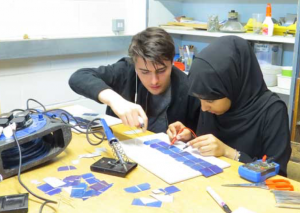 In partnership with Ealing Council and the Schools’ Energy Co-operative, Ealing Transition have helped to provide solar panels for several local schools. Members invested through a crowdfunding scheme and will receive a small amount of interest yearly. Ealing Transition are also involved with helping to make the local housing stock more energy efficient – energy saving renovations by their members are available online. Energy Garden is the world’s first citywide programme that combines community energy and gardening projects. 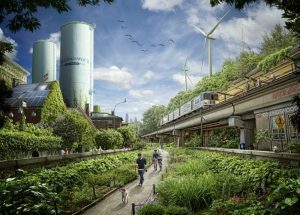 The programme is creating an interconnected network of Energy Gardens, adding natural beauty to London’s Overground stations and raising awareness of renewable energy generation. The gardening spaces are powered by solar water pumps and solar lighting. There are also plans for interactive solar powered notice boards to stay up to date with community projects. Solar assets owned by Energy Garden, plus solar installed by Energy Garden on stations and depots, produce a revenue which will support the gardens and well-being programmes which Energy Garden runs. 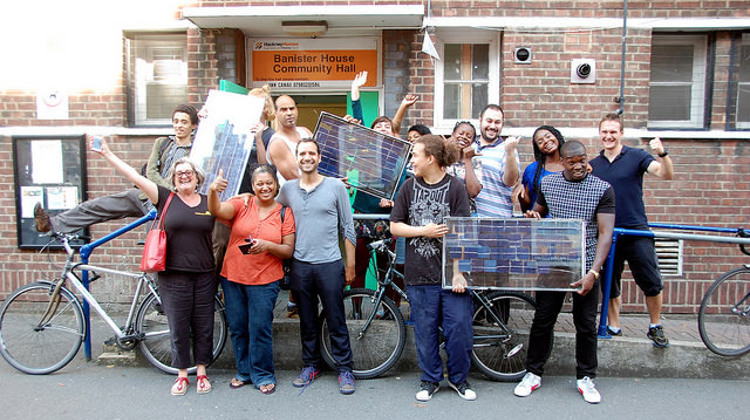 Hackney Energy helped to bring the first community-owned energy enterprise to Hackney, Banister House Solar. Other projects include a local playground, Homerton Grove and another possible first – a solar cinema! This project is a particularly interesting case; the Teddington & Ham Hydro was a planned renewable scheme based on the installation of three hydro power turbines on the River Thames at Teddington Weir. The group had planning permission from the local authority and had raised substantial funds to make the project feasible and help power 600 homes locally. 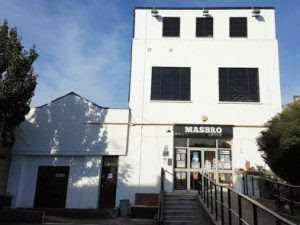 In a series of extraordinary events, this community project was blocked by the oil company Shell, who owned a local hotel – the Lensbury Club – and prevented the project from going ahead. The group appealed the decision but the Court of Appeal and senior judges ruled in favour of the multinational oil and gas company. 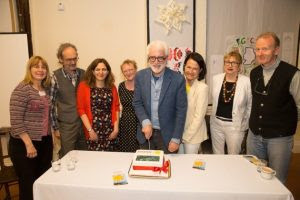 The Highgate Society Sustainable Living group aims to help people find the inspiration and information they need to make energy-aware choices. Formed early in 2011, the Highgate Society sustainable homes group has been researching the opportunities and potential pitfalls of energy efficient refurbishment (and new build) within the boroughs that constitute Highgate. The core team is made up of people with professional backgrounds in this or related fields: architecture and urban planning, sustainable energy, environmental advocacy, communications and conference organisation. Most of the team have already taken steps to introduce significant energy efficiency and/or renewable energy measures in our own homes. They have created the 21Century Homes concept, working with local groups, particularly the Muswell Hill Sustainability Group (MHSG) on events that showcase local and national products with the theme of character, comfort and low carbon. IFEES help people of faith to be more aware of the human impact on the environment. Through initiatives such as their Green Mosque Project, they encourage the building of eco-friendly features into mosques and promote taking measures to make buildings and congregations more eco-friendly. Some mosques are initiating projects such as gardens, bee-keeping, farm visits, nature walks and tree-planting schemes. Some of these measures help keep down running costs, or even turn into enterprises that support themselves, while getting worshippers to work together and get to know one another better! 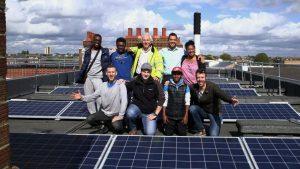 a Community Benefit Society set up to allow people to invest in renewable energy generation in Lambeth schools and community buildings while sharing the profits between investors and the local community. Most of the team have already taken steps to introduce significant energy efficiency and/or renewable energy measures in our own homes. They have created the 21st Century Homes concept, working with local groups, particularly the Muswell Hill Sustainability Group (MHSG) on events that showcase local and national products with the theme of character, comfort and low carbon. LEAP helps to bring micro AD technology and a closed-loop ethos into public spaces where people can see and understand the concept and its benefits. The demonstrator AD is based at the beautiful Calthorpe Project garden, where food is grown and harvested regularly for the on-site cafe – and fertiliser is made from the cafe’s food waste! The AD also converts the cafe’s food waste to biogas, which powers the stove! Muswell Hill Sustainability Group (MHSG) is a volunteer organisation set up by local residents in 2008. Their aims are to reduce carbon emissions and waste in Muswell Hill and surrounding areas, and to encourage residents, local businesses and community groups to live more sustainably. Membership of the Group is open to all. They organise talks by expert speakers about climate and other environmental issues, and hold events, exhibitions and workshops on practical aspects of energy efficiency. 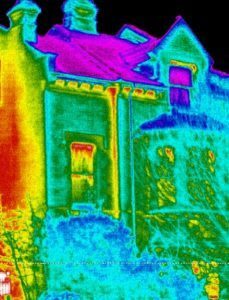 Members have formed a thermal imaging group conducting house surveys for interested residents, and a wood fuel group on supply and correct use of wood for domestic heat. MHSG conducted a ‘100 houses Study’ which followed 100 households in Muswell Hill over 2 years. This assisted participants with an initial carbon footprint assessment, agreed individual carbon reduction plans with them and provided assistance through regular surgeries with experts in household carbon reduction. This Community Benefit Society is the first community-owned energy enterprise in the Royal Borough of Kensington and Chelsea. Power Up North London (PUNL) aims to generate locally owned renewable energy and use the profits to benefit the local community. In November 2015 they were awarded a grant from the Urban Community Energy Fund to cover feasibility costs for a North London solar project. This was used for feasibility studies and was followed by the successful installation of a 19kW solar installation on the south facing roof of a Grade II listed church in a conservation area in Highgate! Through the Mayor’s London Community Energy Fund, PUNL are now looking to support solar projects at a city farm, an arts agency and even a doctors’ surgery! Public Works has been awarded £8,686 towards the development of a small off-grid, hybrid renewable energy system – R-URBAN Poplar. The system could combine micro anaerobic digestion (AD), solar thermal, solar photovoltaic and wind technology. The micro-AD plant will generate power from waste collected (by bicycle) from 35 local households. Repowering London specialises in co-producing community energy programmes with community groups and Local Authorities across London. They support communities to deliver, own and manage renewable energy projects that provide benefits to the citizens that surround them. So far, Repowering London has installed 132kWp of community owned renewable energy, saving almost 60 tonnes CO2 per annum. 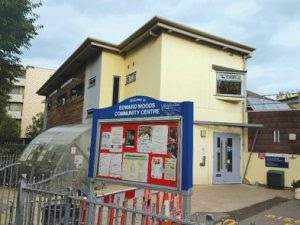 Projects include; Brixton Energy (Elmore House, Styles Gardens, Roupell Park), Hackney Energy (Bannister House), Energy Gardens and several more. The Schools Energy Co-operative installs community funded solar panel systems on schools free of charge as well as paying all its profits to its member schools. A social enterprise, they are dedicated to supporting schools and providing an alternative to the prevailing commercial rent a roof or leasing model. Central to this is the aspiration to retain as much as possible of the benefits for the schools, their students and the surrounding communities. Schools Energy Co-op also provide educational support to our schools and works with the schools and local community groups to maximise the environmental, educational and community impact of the solar installations. SE24 (Sustainable Energy 24) is a community group based in South London. 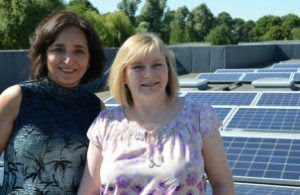 They aim to encourage and develop locally-owned renewable energy projects, so that we can all reduce our dependence on fossil fuels and put money back into the local community. They have a solid track record of successfully implementing community projects and are from professional backgrounds. The founding group includes an energy market expert, a chartered surveyor, a planning expert, a solar energy professional and investors with experience of investing in small scale and large scale solar energy generation. They are mentored by Ovesco. 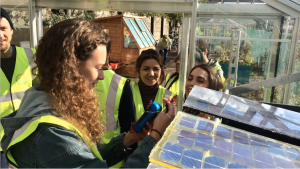 Solar SOAS is the first community energy project on a university in the UK. It”s also the first project carried out by the student and alumni-run community benefit society, UniSolar. The project saw 29.6KW of solar panels installed on the roof of the SOAS Old Building in September 2016. The panels are owned by the society, and feed-in tariff goes towards an annual ”green community fund” administered by the group for the SOAS community. 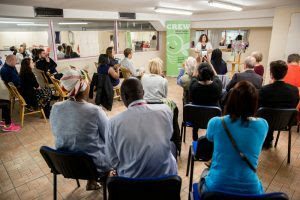 South East London Community Energy (SELCE) is a not-for-profit social enterprise. Formed by residents of Greenwich and Lewisham, who want to play an active role in shaping the energy future of South East London. SELCE is taking action to combat climate change through generating renewable energy and tackling fuel poverty by providing advice and support for those struggling to pay their fuel bills and keep their homes warm in winter. South West London Environment Network (SWLEN) is a charity dedicated to helping people and organisations protect and enhance the environment. 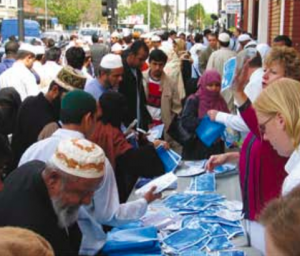 They work in the London Boroughs of Richmond upon Thames, Kingston upon Thames and Hounslow. Their work focuses on preserving and protecting green spaces and biodiversity, promoting sustainability and community development and supporting environmental groups achieve their goals. They also offer free energy advice to schools and community buildings. Sustainable Merton is a community led initiative giving local residents, groups, organisations and businesses the opportunity to stimulate practical action to make our area a sustainable community. They are engaged in projects covering renewable energy and energy saving, local food growing, water conservation and raising awareness of the issues associated with climate change. They are working in partnership with Merton Council and with schools, community groups and businesses across Merton. 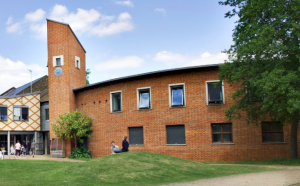 Sustainable Merton also hosts sustainability advice sessions at the Living Green Centre, formally Morden Hall Park.